(4) This organized, street-level targeting protocol is complemented by daily cyber-harassment, break-ins & vandalism of home & vehicle, #GasLighting, death threats and #doxing. the real terrorists in the USA R the groups working from #ThreatFusionCenters - with zero oversight; perpetrating hate against innocent soft targets, the very same people they swore to protect. First a bomb at Soros home. Now Explosive Devices sent to Hillary Clinton’s home in New York and Barack Obama’s home in Washington, Secret Service says. 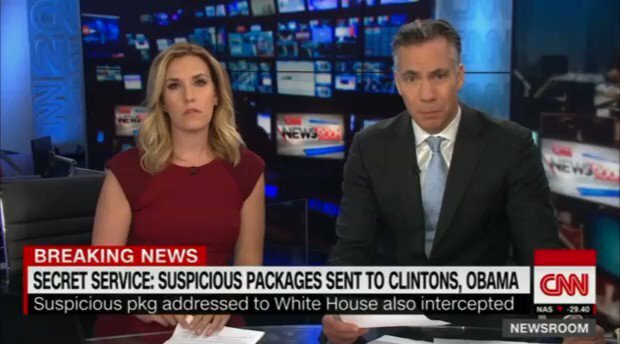 “Excuse me, that sounds like a fire alarm”—@jimsciutto says while reporting on suspected mail bombs sent to Hillary Clinton, Barack Obama, Soros. Moments later @CNN had to evacuate Time Warner bldg in NYC. Devices made w/ pipe & wire, per NYPD. Entire Time Warner Center w/dozens of businesses besides @CNN has been evacuated, reports @AthenaCNN. 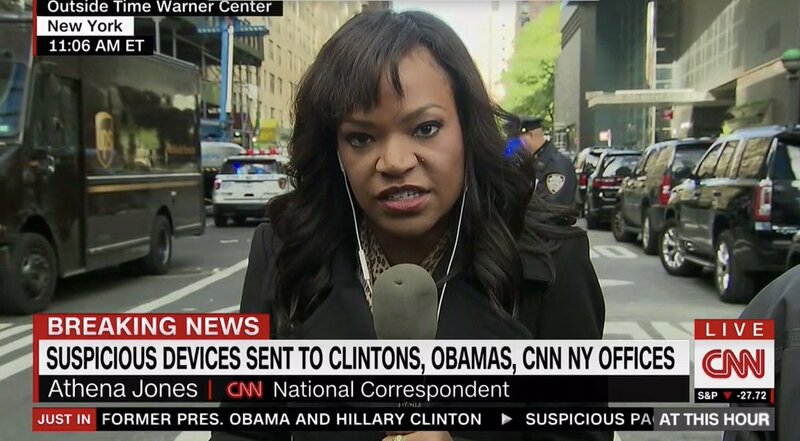 Important to note this terrorist act was at CNN’s NY offices during its morning broadcast from NYC. #CNN has offices elsewhere. Seems bomber wanted the drama of on-air discovery. @BikersForTrump on way to DC for Law & Order! Bwahhhhhhh!